You might wear glasses or contact lenses, but aside from an annual check-up, you probably never think about your eyesight. But for the 35 million people living in developing countries who are blind, this disability can strip them of their livelihood and condemn their families to extreme poverty. The good news: 80 percent of these cases are treatable or preventable. Half of blindness is caused by cataracts, and an individual’s vision can be restored through a quick 15-minute surgery. Seva is an international non-profit that partners worldwide to prevent blindness and restore sight. Seva works in over 20 resource-poor countries, focusing on communities where a small contribution goes a long way. In these areas, the average cost for a surgery to completely restore a person’s eyesight is just $50. 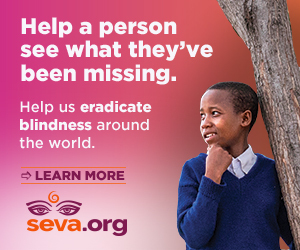 To raise awareness of Seva’s efforts during the busy holiday season last year, MediaMath and our partners, Rubicon Project and Oracle Data Cloud, contributed their time and technology to run a campaign aimed at driving email sign-up and visits to Seva’s Gifts of Sight catalog. 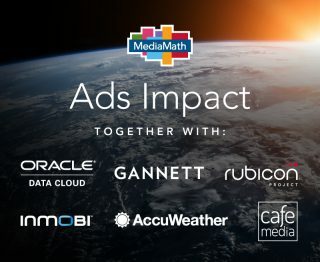 Publishers Gannett, InMobi, AccuWeather and CafeMedia generously contributed $100,000 in donated media to the campaign, which also tested which audiences and creative messaging resonated with donors. Thank you to each of our partners. We look forward to continued collaboration to demonstrate that marketing can be a force for good. Michael Quinn is the Founder & Director of MediaMath.org, MediaMath's philanthropic arm. Michael is focused on making the world a little bit better by leveraging 1% of MediaMath's technology, people, and resources, while promoting the ideas of effective altruism: doing good, better. Having spent the last 10 years working as a project manager in London, Hong Kong and New York, Michael now lives in Ireland with his dog, Chewie.